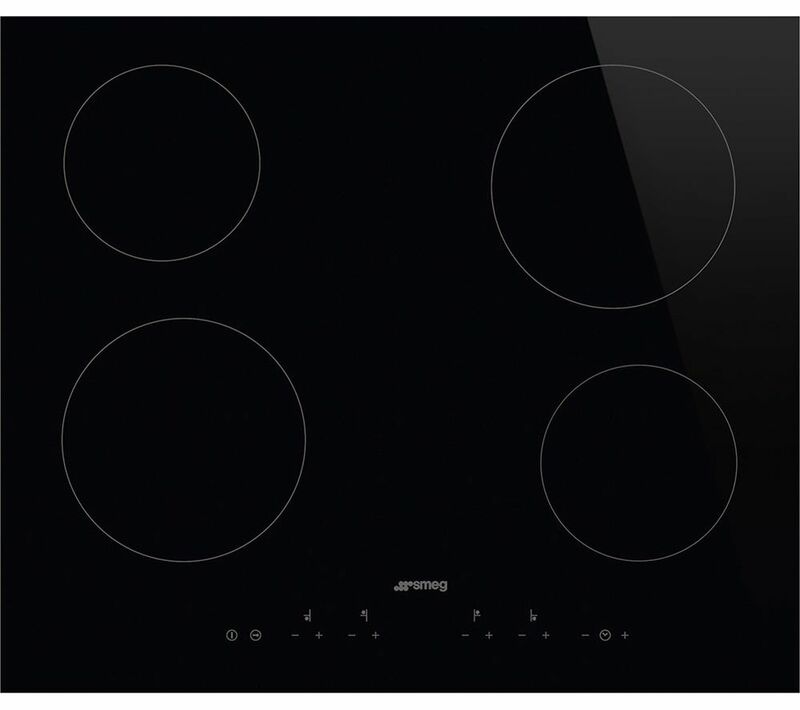 With four ceramic high-light quick responsive zones, this Smeg SE364TD Electric Ceramic Hob allows you to cook multiple ingredients simultaneously. The responsive touch controls make it easy to increase or decrease the temperature of each cooking zone, so you can use exactly the right amount of heat required for each dish. Residual heat indicators let you see when the surface is too hot to touch and the safety cut-off feature prevents the hob from overheating. It's ideal in your family home, adding peace of mind. Whether you need to keep a dish warm until guests arrive or quickly heat up your hob for a last-minute dish, there's a function perfect for you. Thanks to the audible alarm you can get on with other household chores while your meal simmers to perfection.